First Line: It is summer and luminous. When you're in your eighties and a widower, the last thing you want to do is to move from your home in New York City to a new place with your granddaughter and her Norwegian husband in Oslo, Norway. But as Sheldon Horowitz knows, sometimes the last thing you want to do is the only thing you can do. He's lonely and wants to be with his granddaughter. His granddaughter has seen signs of dementia in her beloved grandfather and wants to keep him close to her. What neither one of them could possibly predict is an act of incredible violence that leaves a little motherless boy in old Sheldon Horowitz's care. Now the old man and the little boy are on the run from everyone who's chasing them, and we can only pray that the killer isn't the one who finds this odd pair first. This is a book that defies categorization. 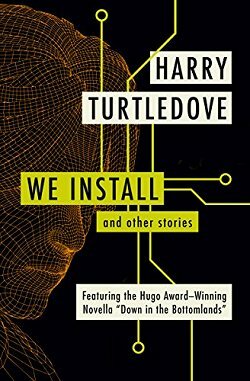 It's part thriller, part police procedural, part road trip, part commentary on aging/relationships/dementia-- and it has flashes of comedy throughout. When I began reading this book, I was worried about Korean War veteran Sheldon Horowitz because I was remembering when my own grandfather lived with me. 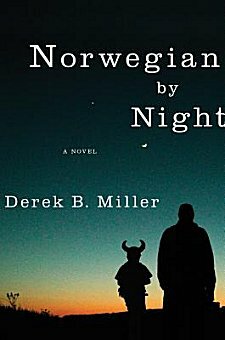 By the time I finished reading Norwegian By Night, I had a big smile on my face and wished that we could all be as demented as Derek B. Miller's main character. This is a book that has so much to say-- and it manages to say everything in a rather concise manner. What this debut novelist says in 300 pages, most other writers would take at least twice the space. Miller never lets his foot off the gas-- this tale moves swiftly and surely from beginning to end. If you're the type of reader who wants a fast-paced book that starts at Point A and leads directly to Point B, you might want to give Norwegian By Night a miss. 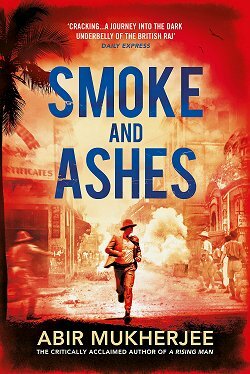 From time to time, the narrative wanders off onto dark alleys and narrow country lanes, as Sheldon visits the Korean and Vietnam Wars, memories of his wife and son... and as we learn a bit about the background of the silent little boy Sheldon is trying to keep safe. These diversions add a richness to the story that it cannot live without; they are the life's blood of Miller's characters. It takes an incredible amount of skill to be able to introduce these flashbacks and themes and not have them slow down the pace of the story, and Miller accomplishes it with ease. The element of the chase keeps the story's pace flowing quickly, while those diversions add dimension to both characterization and to the themes of aging and regret that run throughout the book. And when the action gets too scary or one of the themes gets too dark, Sheldon Horowitz is there to say or do something that will make us laugh. This book fed my mind on so many levels! It's been a long time since I've finished a book with such a huge smile on my face, wanting to invite a character home to live with me. Should we all be as crazy as Sheldon! Cathy - I've heard from so many places that this is an excellent read, and now you've confirmed it. It's on my TBR list, that's for sure, and it looks like I'm in for a treat. Thanks for the reminder. So many books, so little town. This one really sounds interesting. I've put it on my TBR list. Clearly my word "town" was supposed to be "time." Don't you just love those typos that you don't notice until it's too late? Yours is just a continuation of mine. I didn't notice until I'd posted this review that the author's name was misspelled in the header! I hope you enjoy the book as much as I did, Joe! I am adding this book to my wishlist!!! 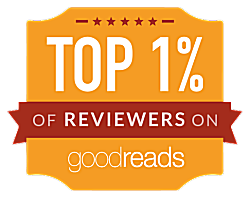 I loved your review it pointed so many things that I crave in a book. I'm so glad, Carol. Thanks for taking the time to let me know! This one looks like a winner! Thanks for the review! You're welcome, Teresa. 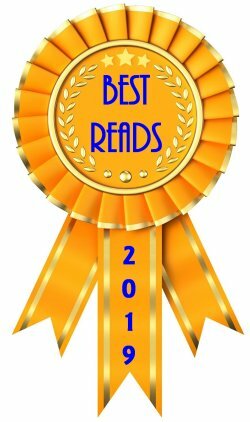 I hope you get a chance to read it and enjoy it as much as I do! This one sounds like a good one. I could use something fast-paced about now. thanks. This sounds great. I've read good reviews of it elsewhere, and this just confirms that if I can't find this book at the library, I'll purchase it. I've read that there is much New York Jewish humor in the book -- English spoken with a Yiddish accent -- and in New York, too -- is my mother tongue, reminiscent of my relatives. I can't wait to read this book for all the reasons you mentioned and thinking of my relatives. Yes, there is Jewish humor in the book, Kathy, and the scene in which Sheldon asks his granddaughter for the warning signs of dementia and then repudiates each and every one is not only touching, it is hilarious. I've taken your advice and that of two other eminent bloggers and am reading this book. Am on page 25 and have not stopped lauging. "Study of Unwilling Subjects" in Sheldon's photography almost knocked me onto the floor I was laughing so hard. I wish both my parents, Jewish mother nad non-Jewish father, but who loved that humor, could have read this book. Oh yes-- "Study of Unwilling Subjects" was one of my favorite bits! I am so glad you're enjoying the book, Kathy! Yes, I liked this book all the way through. Wish though to have seen more humor later on instead of so much grief about the two wars, especially the one in Vietnam. But Sheldon Horowitz is funny at various moments and even at the end. A good book -- but I am left with the question: What is the author's view of the Korean and Vietnam wars? I think he is against war and he does work for a U.N. agency on disarmament research. Miller is very skilled at having his characters talk about the wars without having his own personal feelings glowing like a neon sign. As I read, I remember thinking that this author is against war, but never once did he come front and center and spell it out.